Outside of its environmental impact, an electric car saves money. 1. How Much Money Do You Save From Energy-Saving Light Bulbs? You’re undoubtedly aware of the bite that a trip to the gas station takes out of your wallet. With demand for petroleum increasing worldwide, it’s easy to wonder how much you’d save if you turned in your internal-combustion engine vehicle for an electric one. So many variables affect this determination – the price of gasoline, electric rates, the fuel efficiency of your current car – you’ll need to sit down with a calculator and determine the level of savings you’ll receive if you go electric. You need a baseline of comparison to determine how much you spend per mile in your current gasoline-fueled vehicle. Start by determining your car’s gas mileage. Record the odometer reading when you completely fill your tank. When you refuel, divide the number of miles between fill-ups by the amount of gas you bought. For example, if you drove 200 miles and put in 10.0 gallons of gas, your car gets 20 miles per gallon, commonly abbreviated as mpg. Divide the cost of a gallon of gas by your mpg to determine your cost per mile. If gas costs $3.50 a gallon, your 20 mpg car costs 17.5 cents per mile in fuel costs to operate. The Environmental Protection Agency provides fuel efficiency ratings for electric vehicles similar to its mpg ratings for conventional vehicles. An electric vehicle’s efficiency is rated by kilowatt hours, or kWh, per 100 miles. While car manufacturers will include operational cost figures on their stickers, electric rates vary widely around the country, so it’s important to calculate the costs based on your local rates. Determine the cost of a kWh in your area – it’s listed on your utility bill – and plug it into the car’s kWh per 100 mile calculation. If electricity costs 20 cents per kWh in your area, and a car’s kWh/100m calculation is 31, it costs $6.20 in fuel costs to drive 100 miles, or 6.2 cents per mile. Once you know how much it costs to drive your conventional vehicle and an electric vehicle per mile, it’s easy to determine how much you’ll save by making a switch. Estimate how many miles you drive in a year, and calculate fuel costs for each car. If you drive 12,000 miles each year, and gas costs $3.50 per gallon, your 20 mpg conventional engine consumes $2,100 in fuel over the course of a year. If electricity costs 20 cents per kWh, the 31 kWh/100m electric vehicle costs $744 to operate for a year. That’s an annual savings of $1,356 if energy costs remain constant. After running the numbers, you’ve decided to buy an electric car and do your budget and the environment a favor. While you’ll immediately start saving money on fuel, the conversion won’t pay for itself immediately. To determine when your electric car finally pays for itself through its fuel savings, divide the electric car’s sticker price by your annual savings. For example, if the electric car costs $34,000, after driving it for about 25 years at an average fuel savings of $1,356 annually, you’ll have recouped your entire investment in the car through savings in fuel costs. The Internal Revenue Service offers a credit to owners of electric vehicles. 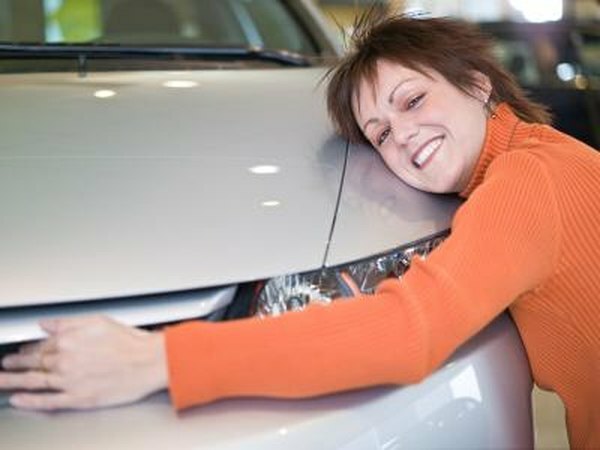 This nonrefundable credit may be worth up to $7,500, although its value varies by the size of the vehicle’s battery and other factors. Although phase-out of this credit hasn’t been determined by 2012, it’s scheduled to begin phasing out when manufacturers sell 20,000 of an eligible model. Eighteen states – Arizona, California, Colorado, Florida, Georgia, Illinois, Kansas, Louisiana, Maryland, Michigan, New Jersey, New York, Oklahoma, Oregon, Rhode Island, Utah, Virginia and Washington – and Washington, D.C., offer tax and other incentives to owners of electric vehicles. These range in value from free access to HOV lanes to a credit worth up to 80 percent of the purchase price of the vehicle. If you’re extra lucky, your electric vehicle may save you money in other areas. Some insurers offer lower rates to electric vehicles. Consult your insurance company to see if a switch to electric will provide lower rates. A handful – only about six percent, according to Green Car Reports – of utility companies offer lower rate structures to owners who charge electric vehicles, though they may need to charge at off-peak hours or through a separate utility meter to receive those rates.